Since around 2003, the online poker industry has seen more than its fair share of ups and downs. Interest in the game has been increasing quite a bit online thanks to alternative deposit and withdrawal options like Ether, and there has been a rise in the number of sites that accept cryptocurrencies like this one. 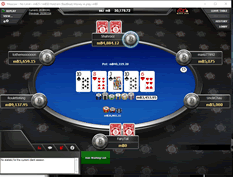 When it comes to evaluating which Ether poker sites that we would recommend, we have a few criteria that we prefer to use to protect players who might play there, and we’re going to share those criteria with you here. We’ve found a few reputable poker rooms that accept ETH. We’ve found these sites to be reputable, offer excellent support and fast and easy payouts into the currency of your choice including Ethereum. Safety and security for your funds and personal information are the first two things that we think about when looking at Ether poker rooms, and we have a few key items we look at to make sure that everything is on the up and up. The licensing for the site is one of the key things, and that means making sure the license actually exists (and they aren’t just lying about having one on their website). It also includes making sure the license comes from a jurisdiction that is more than a rubber stamp. We also look at the back history of the room itself and the company that owns and operates the room. There have been a number of scandals in the past with a lot of different online poker rooms, and that’s why it’s so important that we look at a company’s history in this particular sector of the online gambling industry. If there has been any shady activity in a company’s past, we want you to know about it. In some of the scandals that we mentioned above, there were unfair games with rigged software where certain “superuser” accounts could see the cards of everyone else at the table. We want to make sure that the games at the sites we review are fair because we don’t want to send players anywhere that has shady dealings going on. If we have plenty of reason to believe you can trust the fairness of the games, then that’s when we’ll feel comfortable recommending it. Aside from that, we also only feel comfortable recommending sites when it’s indicated that they have reliable cashouts. While this definitely applies to Ether poker rooms, it’s also something that players should care about in all types of gambling online. If you aren’t sure that you’re going to get your cash out paid out when you’re supposed to, then there’s no point in gambling there in the first place. This is why we put so much emphasis on wanting players to have somewhere with reliable cashouts. One of the things that matters a lot in poker is that everyone at a table is playing with the same currency. This is simply a must for play to happen, and that’s why your Ether deposits will most likely be converted into another popular currency like US dollars, euros or British pounds. This allows everyone to make bets in the same currency against each other, which allows the games to run normally. While it’s not something that’s really such a big deal, it is something that players should be aware of when they are looking to play with a cryptocurrency at the poker tables online. While the sites that we review generally have this setup for their currency conversions, something that ties into this is whether or not enough tables run for the site to be viable in the first place. Unlike other forms of gambling, you need other players for a poker site to run well, and without that, you’re mostly just going to be sitting at a table by yourself waiting for a game to start. This is an issue for Ether poker rooms since some of them don’t have a lot of traffic, so you’ll want to check out what tables are running for specific games to see if they’ll have the games you want at the stakes you prefer before you get signed up. Playing online poker provides a number of specific challenges in vetting sites that you don’t get with other types of Ether gambling sites. However, when you add the requirement that the site accepts Ether for deposits and withdrawals, then that complicates things a bit more. Along these lines, the selection of rooms available isn’t huge, but there are some that fit the bill that we have reviewed, and they’re worth a look if you’re really into this newer type of cryptocurrency. Ether Online Casinos – If you’re looking for casino action, check out these quality and reputable online casinos that accept Ethereum. Ether Sports Betting – These sportsbooks are the most trusted in the industry that accept Ethereum. Whether you want to bet on Football, Basketball, Golf or the Super Bowl, these sites have exactly what you need. And they offer near-instant payouts when you win.